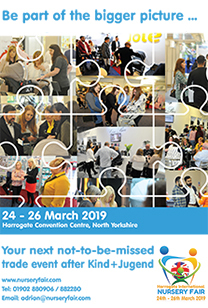 Companies in the nursery sector seeking grants to assist with costs associated with exhibiting at international trade shows are advised that the UKTI budget is significantly reduced for 2015 and Trade Access Programme (TAP) grants are very limited. 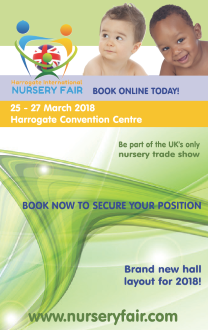 The current TAP allocation for the nursery sector is 15 individual grants of £2,000 to exhibit at CBME Shanghai in July 2015 and just six grants of £1,500 towards exhibiting at Kind und Jugend in September 2015. Robert Anslow, BPA managing director, comments: “TAP funding allocation for Q1 and Q2 2015 is very disappointing indeed and as an industry trade association, we hope that this will not discourage SMEs in our sector from participating in international trade shows and in particular joining the BPA’s UK Pavilions at CBME Shanghai, Kind und Jugend, Cologne and ABC Kids, Las Vegas. “All group Enhanced Activity Funding has also been withdrawn this year and the repercussions of this will be significant. In the past, this funding has helped towards UK Pavilion branding, coffee and meeting areas and networking events, so without this support the BPA will have to find alternative funds to limit having to reduce the level of service offered. The 15 TAP grants for CBME Shanghai will be allocated on a first-come-first serve basis to companies fitting the required UKTI criteria, so those wishing to join the UK Pavilion at this show are advised to return their TAP forms, together with their show booking forms, as soon as possible.